Advanced multi-functional formula for both domestic and foreign bikes. Excellent in air-cooled motorcycle engines due to high heat resistance. Can be used in engines, transmissions and the primary chaincase. Not recommended where an API GL-4 or GL-5 gear oil is specifically required. There is so much data out there about the AMSOIL 20W-50 V-Twin Motorcycle Oil that you don’t have to look far to know why so many people swear by it but when we opened the Sioux Falls store, it’s use was low here compared to other cities simply due to supply.. But now we have solved that problem!! We keep more than enough in inventory so stop in and discover at the first twist of the throttle why AMSOIL’s 20W-50 is superior. We think you really don’t need a gazillion tests for the proof. 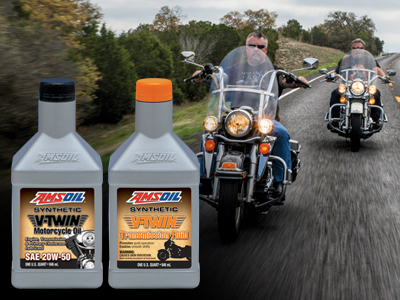 AMSOIL Synthetic V-Twin Motorcycle Oil delivers exceptional protection in transmissions and primary chaincases. It is absolutely shear stable and will not thin out from mechanical activity. 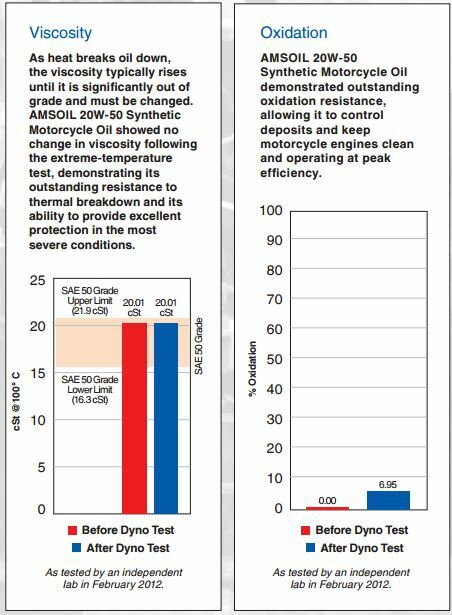 AMSOIL 20W-50 V-Twin Motorcycle Oil performs like a gear lube without the negative effects of extreme-pressure additives. In the FZG gear test, AMSOIL achieved a perfect score with a “zero” wear rating. Engineered for use in motorcycles that require 15W-50 or 20W-50 motorcycle oil, including those made by Harley-Davidson*, Buell*, KTM*, Ducati*, Aprilia*, BMW* and Triumph*. Do not use where an API GL-4 or GL-5 gear oil is required. 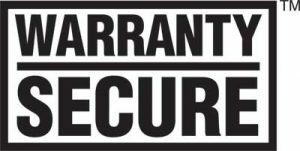 AMSOIL 20W-50 Synthetic V-Twin Motorcycle Oil is Warranty Secure, keeping your factory warranty intact. AMSOIL 20W-50 Synthetic V-Twin Motorcycle Oil is a high-performance replacement for vehicle manufacturer-branded products and is also backed by the AMSOIL Limited Warranty. There is a reason the AMSOIL Motorcycle Oils can lead the industry. There are several reasons actually. The larger corporate firms can produce an oil of this merit but their methods are quite different when it comes to how they can out source for the best additives. It also has a lot to do with years in the business and the ability to make certain things work. Even the issue of access to data. But other companies do have to make a profit for stockholders (which AMSOIL does not have) and their products have to be ideal for central distribution to merchants. Other OEM labels are simple existing products re-labeled to market to a group willing to pay more but the core issue is that if any single company was to duplicate the process and end-product quality that AMSOIL offers, that quart of oil would need to be marked up at least 60% higher than AMSOIL’s full retail currently. That’s the only way the better product could keep the profit margins the same all around for everybody. Of course you can buy locally in the Sioux Falls Synthetic Warehouse store. There are several programs available to save over the retail pricing. 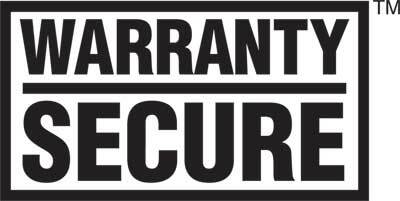 But if you are out of town or out of the state we have the best rates available and use some creative shipping methods. Just call for the price. 1-800-579-0580. Enjoy our video on the merits of this AMSOIL Motorcycle Product. I use AMSOIL products in the Engine, Transmission and Primary case of all the Harley-Davidson motorcycles I’ve owned since I started riding after a 40 year hiatus in 2012. I have also used AMSOIL in all of my air cooled Volkswagen powered vehicles for decades. You can’t beat it’s quality. The fact AMSOIL sells application specific lubricants that really ARE superior to “universal” lubricants is a HUGE plus too. Pro Atv Desert racer been running 20-50 now for the last 8yrs changing the oil after 2 races which average a couple hundred miles each and a few hrs of brutal punishment and harsh Arizona desert summer temps I replace the cylinder and piston at the end of Every season after over a 1000 miles and over a hundred total hrs in a season the piston and cylinder look as if they did when I installed them, the last 8yrs I have not had any engine failures of any sort and it’s because of AMSOIL synthetics. I’ve seen so many guys I race with blow there engines time and time again during the season and they continue using their own preferences of oils and still have issues. I have so much confidence in AMSOIL when going racing that engine failures don’t even cross my mind………thank you AMSOIL for your continued sponsorship support and your hard work put in by your R&D department…….It’s paying off…..”!!!! !